We’ve added a suite of improvements, including updated terrain textures, dynamic lighting, richly detailed trees and foliage, as well as a more nuanced day/night cycle. Plus, with all the technical improvements, the Plains runs smoother than ever! You can now track and tranq animals in the Plains! Master Teasonai will be your source for Echo-Lures and Rarity Boosters as you track down, capture and get these animals to safety. Echo-Lures are not required as these animals continually roam the Plains, but calling them will bring them running (or flying!). A new Conservation Badge and Floofs from Master Teasonai await your efforts. An avian of ridiculous appearance found along coastal regions and by large bodies of water. Mergoo circle and squawk at the sight of marine predators. Many an Ostron fisher owes their life to these odd little birds. Killing one is considered very bad luck. New Kuaka and Condroc variants can also be found throughout the vast Plains of Eidolon! Reports of a new Grineer machine have spread to Cetus. Vay Hek has deployed Tusk Thumpers -- mobile defense platforms that are just as efficient as they are deadly. Be prepared to encounter three menacing Thumpers of increasing size and difficulty: the Tusk Thumper, the Tusk Thumper Bull, and the Tusk Thumper Doma. Without a vulnerability to use to your advantage, you’ll need to identify and expose their weak spots to take them down as quickly as possible. Take too long, and they’ll release reinforcement drones. Make sure to visit Nakak and get your Tusk Thumper Floofs by trading in Resources! There’s one for each type of Thumper, collect them all! With Fortuna's release, we applied some general economy changes based on takeaways from Cetus. Now that we have returned to Cetus and the Plains of Eidolon with a remaster, we are applying some 'Economy Remaster' changes to go with the changes in an effort to apply our continued learnings. Change is the name of the game - thank you for all feedback on our economies and for being receptive to change! Replaced Arcane Blueprints with Arcanes in Quills Offerings meaning that Arcanes no longer need to be built. Replaced Arcane Blueprints with Arcanes in Hok's Offerings meaning that Arcanes no longer need to be built. Owned Magus, Exodia, and Virtuos Arcane Blueprints have been converted to full-crafted Arcanes. Added sell price to Fish Meat (100 Credits per unit). Selling them makes sense to add for inventory purists as changes come for their uses. Replaced Bait Blueprints with Baits in Fisher Hai-Luk’s Offerings. This means Baits are no longer craft-ception with other fish parts and can now just be bought outright for Standing. Reusable Fish Bait Blueprints can now be sold for 100,000 Credits. Relics of a different time for some, easy Credits for others. Zaw Handles now use Fish Oil instead of Fish Scales. Amount normalized to 50 units. Normalized Fish Part costs across Amp Part Blueprints - some had 5 rare parts, some had 2, now there's 3 needed for all. Removed Cetus Wisp costs from Operator Armour Blueprints, and replaced them with Eidolon Gems. Removed Cetus Wisps from Amp Prism Blueprint, and replaced them with Fish Parts or Eidolon Gems. Removed Fish Scales costs from Operator Armour Blueprints, and replaced them with Fish Parts. Reduced Standing cost of Cetus Wisps from Quills Offerings. Fish Oil can now be sold for 100 Credits. When they go high, go low. Powerful pneumatic grips and toecaps amplify every blow. Four ways to deal twice the pain. Find the Korrudo in the Market, or as a Tusk Thumper drop! We have added a new Option called "Creator Mode"! This exists to help players and Content Creators with a simple principle: no distractions, no spoilers. Fortuna Citizens won't reveal their secret. The Lotus will no longer be as purple. Operator transmissions will be voice only. On-orbiter transmissions and in-mission bumpers for Invasions / Alerts will not appear. Fashion Frame just got a little more energetic! We have now added a SECONDARY Energy customization slot in the Arsenal! This is simply a free added bonus when Forma'ing gear. All Gear can unlock this once Forma is applied! All non-Forma compatible goods (Syandanas, Etc) have this automatically. Ticker has added a Venus Bounty Trap to their Secondhand Wares! A true hunter keeps their tools close at hand. Added Warframe Ability videos for Harrow, Khora, Octavia, and Gara in their respective Arsenal Abilities screen. Added out-of-bounds triggers to some spots where it's possible to get stuck in the Grineer Sealab tileset. Added Damage Multiplier stat when previewing Saryn's Miasma ability. Added a custom icon for Nagantaka's reload speed buff. Added Horrasque and Stover to the Codex. Tusk and Kuva Fortress Shield Lancers have a new look for their shield! Added a tint to the background of certain UI screens to match the current chosen Theme. Players who can handle an increased challenge are now able to opt-in to making their Thermia Fracture's more difficult! We have added a method to allow players to increase difficulty and lower the overall duration needed to complete 4 Fractures. Players can now expend additional Coolant Canisters after a harvest has begun within the first 30 seconds of starting the harvest. Each additional Coolant Canister will increase the frequency of the 'Burps'. Each additional Coolant Canister will increase (pinned) the alert level of the fight. Each additional Coolant Canister will add 50 seconds to your Fracture, reducing the overall time it takes to find/complete 4 Fractures. Nullifier Burp - Burst of energy that creates a nullifier volume around the Fracture for a brief moment. Radiation Status Effect Burp - Damage burst with 100% Radiation Status Effect. Rage Burp - Increases the damage output of nearby enemies. Thermic Raknoids - Spawns Thermic Raknoids. A new Raknoid variant with unique stats and aesthetic! Eximus Burp - Spawns Eximus units. Enemy Level Burp - Increases the current enemy level. As many of you are aware, Warframe has been adapting and changing up gameplay to make it smoother and much more ‘Space Ninja’ in its action. Recently we have seen the introduction of the Melee Rework: Phase 1 (which is still in progress), but as an interesting side effect, we have found that some new systems that we have introduced could potentially be applied to other game systems... in this case, Ability use. Whip and Sword slide attacks now do the same damage with a Stance equipped as without. Kills add charges (up to 5 max) that release seeking projectiles (same amount as charges) on slide attacks to stun enemies. The Knell is now automatic. Damage changed from 79 Corrosive to 9 Impact, 23 Puncture, 17 Slash and 81 Corrosive delivered in 3 ticks of 27 each over 2 seconds. Converted from Charged to Semi Auto. Ammo pool increased from 20 to 30. Area-of-Effect increased from 6 to 7m. Area-of-Effect damage reduced from 600 to 400. Reduced aimed FoV due to low Range. Adjusted ragdoll impulse so ragdolls don't always fly to the right. Added a 5m 200 Explosion damage radial attack on recall. Increased Range from 1 to 1.5m. Increased Melee damage from 115 to 130. Increased throwing projectile damage from 575 to 650. Reduced the collision width of the thrown projectile from 0.6m to 0.2m. Increased the speed of the throwing animations. Having a ‘signature’ weapon now actually benefits you! There are still a few signature weapons that will receive this treatment (Scourge, Hystrix, etc). Knell: Knell now has a 2 round mag when wielded by Harrow. Tenora: Headshot kills with alt fire have a 20% chance to instantly refill magazine when wielded by Octavia. Pandero: Headshot kills with alt fire increase reload speed by 20% when wielded by Octavia. Fusilai: Increased projectile speed when wielded by Gara. Volnus: Additional slam radial damage when wielded by Gara. Astilla: Additional 80 ammo pool when wielded by Gara. 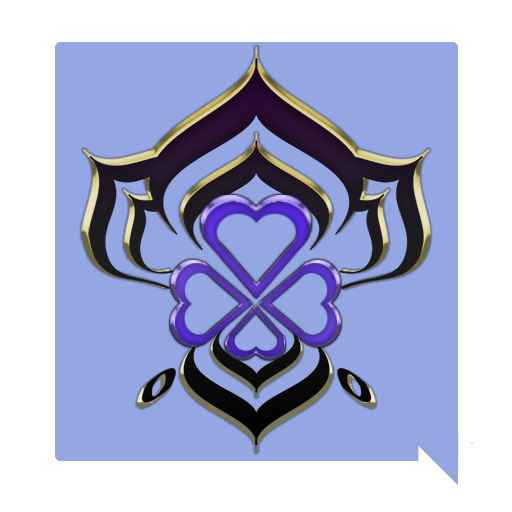 Phantasma: Has 15 magazine when wielded by Revenant. Tekko: Additional 6% status when wielded by Atlas. Tatsu: Charge cap is 9 when wielded by Revenant. The Wolf (and other “stalker” type enemies) now have a level cap of 45 for Solo players and 60 for public squads. Significantly reduced the Wolfs tankiness. All of The Wolf of Saturn Six Nightwave episodes can now be viewed by selecting ‘Tune In’ on the Nightwave screen! Matchmaking for the Exploiter Orb fight can now be done by visiting Eudico in Little Duck’s room! Hildryn is no longer restricted to move at walking speed when charging Balefire. Chesa's new Retrieve functionality can no longer stack with Desecrate and other looting Augments (Pilferdroid/Ore Gaze). This was creating some unintended double dips from a single corpse - the dead can only give so much! Atlas' Passive now prevents him from being affected by abilities and weapons that push or pull (e.g. Terra Embattor Moa mines). Restored ability to have Baruuk's Desert Wind slam pull enemies instead of pushing them by holding block/aim key. Increased the speed of Rhino’s Stomp start animation slightly. Hydroid’s water textures have been updated to reflect fancy new tech introduced with the Plains of Eidolon Remaster! Killing enemies with Operator abilities (Void Blast, Void Dash) will now grant the kill Affinity to the equipped Amp when possible. Changed Operator Void Dash to no longer stop dashing when passing through allies and objects that bullets can pass through (i.e. foliage). Typing an item name (ie Stradavar Prime, Equinox Prime, etc) in the Trade screen search bar will now display all Relics that contain that item. You can now also name/rename weapons that Polarized, as opposed to the strict Rank 30 requirement. Nezha’s Warding Halo Safeguard Augment now takes yourself into priority consideration before others. Meaning that Warding Halo will be cast on yourself as opposed to your allies regardless of if you’re aiming at them. Catchmoon's projectile will now only collide with world geometry when the center of it hits. Amalgam Mods can no longer be equipped on Exalted weapons. Changed High graphics setting to set Anisotropic Filtering to 16x instead of 8x. Shock-Camo Skins have received a visual PBR upgrade! Phased Vasto/Akvasto and Rixty Aklato Skins have received a visual PBR upgrade! Changed Tower White pigment to drop from Kuva Jesters instead of Condrocs and Mortus Pink pigment to drop from Tusk Flameblade instead of Kuakas. Changed Tower White Pigment drop rate to a 100% chance to drop 1 instead of a 20% chance to drop to drop 5, for more consistent farming. Optimizations towards Mirage Hall of Mirrors projectile FX for Staticor and Ogris that was causing crashes. Numerous tweaks and Ability balance passes towards Junction Specters. Reduced the frequency of Nora's UI open transmission with a 5 minute cooldown. Reduced the visual thickness of the Arctic Eximus’ Snow Globe barrier. Adjusted left hand position when holding the Corinth. Improved the left hand position for Opticor and Arca Plasmor. Adjusted teleporter to prevent players being caught in an endless teleporter loop in the Grineer Settlement tileset. Toned down the Mining laser radial blur when zooming in. Toned down the blue FX in Excalibur’s diorama. Tweaked the Odonata Primes metallic materials to appear more shiny and less dull. Limbo's Banish ability timer will now immediately expire if all Banished enemies are killed before the timer counts down. Improved some cases of visual clipping between the Mesa Kudegra Skin and other Accessories. Enlarged the Voip HUD indicator to increase visibility. Updated Enable Hint Transmissions in the Audio Options menu. This setting will stop a lot of the more common and repetitive Transmissions from playing. Improvements towards Fish spawning logic to alleviate cases of Fish spawning underground. Potential fix for broken Arbitration reward UI in-game which resulted in discrepancies between what was shown and what you received. Fixed Dispatch Overdrive not applying to Garuda’s Talons when equipped (this time without breaking all Arcanes). Fixed Clients sometimes getting booted to Fortuna if they joined a session while it was transitioning to Deck 12. Fixed a loss of functionality that occurred if you were playing a looping Emote while transitioning from Fortuna to Vallis or Cetus to the Plains. Possible fix for a game hitch/hang when opening a cave Cache during a hidden Caches Bounty. Fixed a crash when throwing Thermia Canisters at the Exploiter Orbs vents. Fixed being stuck on a black screen when attempting to load into a Kuva Fortress mission. Fixed a game hang when ‘Defending the Console’ in the Vox Solaris quest. Fixed having to abort if your impeccably unfortunate timing killed you while simultaneously deploying the K-Bomb during the Vox Solaris quest. Fixed the rewards for the Hepit & Teshub nodes in the Void: replaced one of the duplicate Lith M4 Relic entries with a chance to drop a Lith P2 Relic instead. Fixed an issue where Clients that died, aborted the mission, and rejoined would Revive with 2 Health. Fixed cases where performing actions such as picking up a Datamass or entering bleed-out state while having an Arch-gun equipped could result in a loss of functionality. Fixed Orb Vallis Drones respawning with full Health/Shields after a Host Migration. Fixed the default K-Drive showing Affinity gains and leveling up from "Unranked" state. Only purchased boards can accumulate Affinity (Vent Kids standing can still be acquired as usual). Fixed Vazarin Mending Soul charges not refreshing when transitioning from Fortuna to Vallis. Fixed Limbo being incorrectly affected by certain Exploiter Orb attacks while in the Rift. Fixed the Hall of Ascension Agility test contributing to Nightwave progress multiple times. Fixed Clients that join-in-progress not properly bleeding out if they were killed while riding their K-Drive. Reaching 7 Health will now boot you off to prevent death while K-Driving. Fixed an issue where falling at the very end of the Mastery Rank 13 test would make it impossible to complete. Fixed Void Fissures in endless mission types not spawning enemies at the same level as other non-corrupted enemies. Fixed Larkspur’s Alt Fire not functioning for Clients. Fixed not being able to start Ghoul Bounties from the tents in the Plains of Eidolon. Fixed the UI for Capture Bounty missions getting stuck on the screen after being completed. Fixed the Exploiter Orb's heat gauge size not being affected by the UI Scale setting. Fixed certain map markers not appearing after returning to the Orb Vallis from Deck 12. Fixed Clients not seeing the Zenistar's disc if they join-in-progress while it's active. They would then see it appear when it's destroyed by the Host. Fixed Clients not seeing custom colours on the Zenistar's disc. Fixed Clients sometimes getting a different Conservation Capture rating than the Host. Fixed Clients always switching to Primary after dropping/using Data Mass or Power Cores, even if they had their Secondary equipped when picking it up on controller. Fixed the Pax Soar Arcane buffs taking effect even when your Kitgun is unequipped. Fixed not being able to choose a Warframe during the tutorial unless you manually hover the cursor over the UI button when using a controller. Fixed Oberon’s Hallowed Ground timer not being removed when you deactivate the ability with the Hallowed Eruption Augment. Fixed Limbo’s Cataclysmic Continuum Augment Mod not updating the ability timer. Fixed turning invisible if you shake hands with someone while the Skiajati is equipped. FIxed the Handshake emote not initiating a handshake unless you had matching allied Syndicates (or had no standing within Cetus and Fortuna). Fixed security cameras not properly fixing on their targets when they have been spotted and not taking their head rotation into consideration when setting their look target. Fixed not flying in a straight line after rotating the camera 360 degrees while in Archwing. Fixed a little hitch in the reload animation of the Exergis. Fixed the Terra Plasmor Crewman magazine not animating properly during reload. Fixed Opticor and Opticor Vandal weapon charge up animations not playing. Fixed Atlas’ Tectonics remaining around if you spam activate while deactivating (during the wall push animation). Fixed being able to use Emotes while controlling the Golden Maw in The War Within quest. Fixed broken pathing for the Golden Maw in The War Within quest. Fixed getting teleported and stuck outside of the final area in the last mission of The Sacrifice quest. Fixed an issue where mounting your K-Drive while performing another action (such as capturing a Fugitive) could result in taking control of a Warframe-less K-Drive. All Operator souls that have become trapped in K-Drives this way are regrettably unrecoverable and Digital Extremes wishes you well in your new life. Fixed Arch-guns still being visible if you mount your K-Drive while it's active. Fixed getting stuck in a crouch state if you start grinding while your K-Drive is spinning. Fixed the Sonicor using classic Pistol idle animations, instead of ‘wrist mounted’ animations. Fixed wonky throwing animation when wall hanging and firing any ‘thrown’ weapon (Spira, Kunai, etc). Fixed the Profit Taker Articula having incorrect poses/pose selection. You may find that your Articula has moved due to this fix! Fixed a Glaive Prime being visible when viewing Profiles of players who have not unlocked their Operator yet. Fixed weapons with an embedding projectile (e.g. Tysis) not showing the proper damage amounts in the Arsenal. 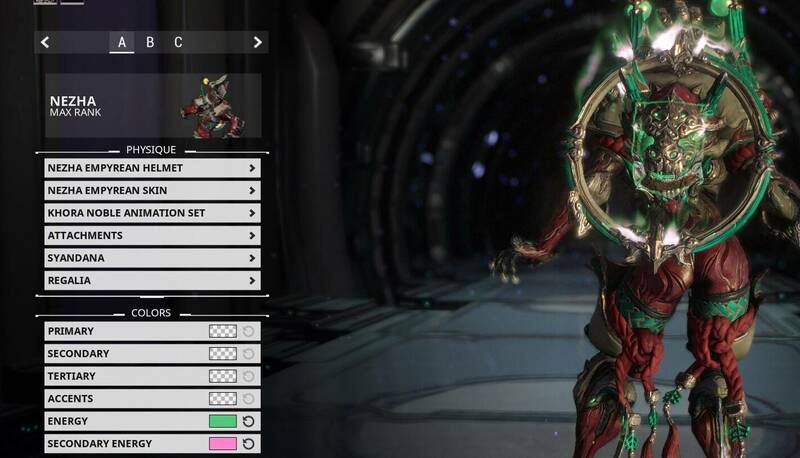 Fixed the UI always showing the Ungilded values when comparing modular weapons such as Zaws, Amps, etc. Fixed Lens icons appearing completely white in the Lens selection screen. Fixed the Foundry displaying ‘1 Forma owned’ for Forma required Blueprints when an Umbral Forma is owned. Fixed some of Silva & Aegis' effects being visible when it's holstered/hidden. Fixed Elemental effects showing up in cases where the melee weapon they're on should be hidden. Fixed the Blade of the Lotus Trinity Skin skirt cloth clipping through her hip. Fixed the Dojo Architect UI showing the room number limit instead of the Decoration limit for the room. Fixed the Ludoplex "play now" not being localized. Fixed Nightwatch Lancer appearing twice in the Codex. Duplicate entry is actually the Nightwatch Carrier. Fixed the falling sound persisting if you perform a Melee slam and then interrupt it by Transferring to Operator. Fixed 'constant' grapple sounds for the Sanguine Eximus Specter (New Loka). Fixed some navigation and waypoint marker issues in the Lua tileset. Fixed certain loot crates spawning inside terrain in the Earth tileset. Fixed several lines missing from the "Protect The Moon" mission in the Second Dream quest. Fixed misaligned tabs in the Decoration screen for wide aspect ratio screens. Fixed some beam weapon VFX appearing misaligned when firing while wall latching. Fixed broken lighting in the Dojo Energy Lab. Fixed Eudico constantly interrupting her own Transmissions during the ‘Capture Air Dropped Containers’ Bounty. Fixed light shaft protruding through the Nef Anyo statue at the Temple of Profit. Fixed Sentinels and MOAs with beam weapons attempting to shoot at targets outside of their weapons range. Fixed Channeling sometimes still recalling your Glaive, this should only be done via Melee input now. Fixed ability to see through the Lotus Noggle helmet. Fixed some effects in Baruuk's Restraint UI not correctly lining up as the meter fills up. Fixed Ivara's leg cloth appearing less translucent than they should be. Fixed ability to equip Amalgam Organ Shatter on Arch-Melee weapons. Fixed not being able to bullet jump while stationary on a zip-line. Fixed an issue where hovering over a Gift of the Lotus mission node in the Star Chart would cause other nodes to not display correctly when hovering over them. Fixed Critical Focus not applying to charged shots (e.g. Velocitus). Fixed animation issues while attempting to fish from a zip-line. Also fixes a delay when launching the Fishing Spear from a zip-line. Fixed Resolute Focus applying stagger/knockdown resistance even when the Archgun is not equipped. Fixed Gear items not correctly updating their cooldown timers or whether the timer has expired in certain cases. Fixed inability to return to Melee only mode after using Gear items that you can Melee attack while using.